Tiger Bill Reviews Ultimate Drum Play-Along: Journey from Alfred Publshing. 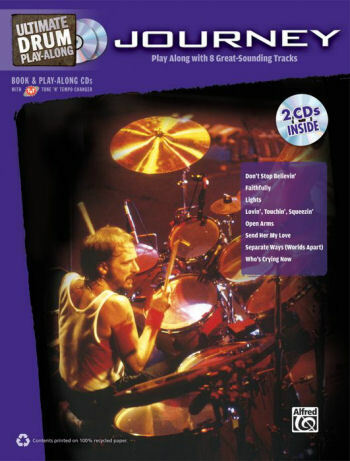 This Ultimate Drum Play-Along book, with two CDs, features eight classic songs from the band Journey. This book and CD combination, another in the continuing Drum Play-Along series from Alfred Publishing, will be of great value not only to fans of Journey but to drummers of all experience levels who are looking to improve their reading skills.